- Chicago, with its many glass superstructures that spike into what is the busiest US avian airspace during migration, is the most dangerous city for those feathered travelers. More than 5 million birds from at least 250 different species fly through the Windy City’s downtown every fall and spring. — They journey twice a year, many thousands of miles, going north in the spring from Central and South America, across the Great Lakes to Canada, and back south in the fall. 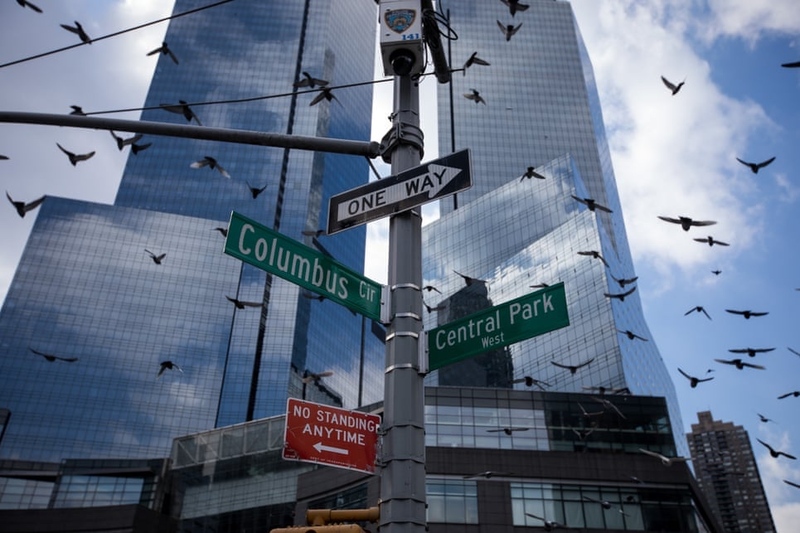 - Most birds migrating through the US do so at night, when the airspace is cool and calm – and often end up veering through cities because their glow stands out. Scientists have long known that birds are attracted to light, so when they fly over a bright city at night, they are naturally drawn toward it, unaware they are in dangerous territory. Any city with glass structures and bright lights at night is a culprit, but some are more dangerous to birds than others. -,The Cornell Lab of Ornithology published a study this week that ranks cities based on the danger they pose to migrating birds. Houston and Dallas, which also lie along some of the most popular migration paths, round out the top three most deadly cities after Chicago. New York, Los Angeles, St Louis and Atlanta also pose risks during migration. Kyle Horton, an author of the Cornell study, said that the researchers were not trying to criticize cities per se. - Though the studies bear sad news about the effects cities have on birds, conservationists see them as opportunities to target their activism. “Every time new scientific literature comes out, we learn more about the problem, and … we can pinpoint the best solutions using the science,” said Kaitlyn Parkins, a conservation biologist at NYC Audubon. Turning out the lights in buildings at night for a few weeks during peak migration is a simple first step and would make a big difference. - Conservationists also advocate that buildings adopt more “bird-friendly” designs, for example using patterned glass and dimmer lighting. San Francisco and Toronto have already adopted some bird-friendly guidelines, while city council members in New York and Chicago have introduced legislation to adopt similar measures. A bipartisan bill in Congress introduced in January, called the “Bird-Safe Building Act”, would require new federal buildings to adopt designs that keep migrating birds in mind. 1. What types of birds are being killed? Little songbirds? Pigeons? Eagles? 2. Of the birds typically killed, how many are there in the world? Yes, but does the noise from skyscrapers... cause cancer?! I believe we kill far more animals as a whole for breakfast/lunch/and dinner. Chickens are considered birds. Billions of Chickens. Skyscrapers are not the issue with killing birds, the Chinese and Americans are. China kills something like 9 billion chickens and the U.S., the same, about 9 billion. Can also blame cats. Cats look cute, but they are great at eating mice and birds. Likewise with Snakes. And cats are twisted too, but like in a cute way. I use to work on a farm when I was in my teens as a part-time job, and the black cats (farm had 20 of them) would kill the mice, than play with the body. Sometimes, they just eat the head and leave the rat corpse there. But I tell ya, no rats or mice when those cats were around. Everyone should have a cat around for pest control. However we don't eat a lot of birds that fly into buildings. One could say that the bird meat is tenderized when it strikes the building, so if anything, its tender bird meat. I'm sure somebody would eat it. Could probally start some sort of niche restaurant selling bird meat that strikes buildings. "Organically urban" or something like that. How does that compare to windmills? How many birds die each year smashing into Trump branded buildings? Inquiring minds want to know? Time to ban skyscrapers! Stop killing the birds! Only the ones with windmills. isn't this kinda evolution at work? the birds too stupid to recognize that there is a building in front of them don't pass on their genes to subsequent generations. the birds who are smart enough not to fly into buildings do get to pass on their genes. Last edited by Steely Dan; Apr 9, 2019 at 2:14 PM. I doubt the legislation being considered in NYC for this issue will be passed, too many developers will fight back. Especially since the treated glass to curb the issue is 3-4x as expensive. I think they should just turn the lights off on glass skyscrapers during the busiest weeks of migration, which is only about 3 weeks a year. I believe Chicago does this already on some of its tallest towers. I used to belong the Houston Audubon Society and we would go around picking up dead birds and tallying how many died and of what species in downtown Houston every Spring and Fall. The numbers were staggering, we would find thousands of dead warblers and other migratory songbirds. Skyscrapers pose just as much of a threat to songbirds as does forest fragmentation and habitat loss and that was hard to cope with being a fan of skyscrapers and a birdwatcher. I don't think this is something to be joked about. What we need are buildings with less glass and more stonework. Scarecrows and gargoyles on every corner. Bring back Gotham City. Do it for the birds. Did anyone in Chicago hear about this? Apparently the city council health and environmental protection committee hearing was today, 10am-noon.